Dominicans prefer relationship building in business. Therefore, hard selling and pressure tactics will not work. Did you know about Dominica? The Sisserou Parrot (one of largest parrots on planet), Dominica’s national bird, is one of the several species of exotic birds that can be found in the tiny island of Dominica. Is it easy to open a corporate bank account in Dominica? Healy Consultants can open a corporate bank account with internationally recognized banks to support Dominican company formation. Am I required to visit Dominica to incorporate a company there? No. Healy Consultants can legally incorporate your Dominican company without you needing to travel. What is the minimum number of directors required for a Dominican company? A Dominican company needs a minimum of one director. A director is not required to be a resident in Dominica. What is the minimum number of shareholders required for a Dominican company? A Dominican company requires a minimum of one shareholder. Are shareholders available for public viewing? No, there is no public register. What are the minimum capital requirements for a Dominican company? A Dominica company requires only US$1 minimum capital. What is the problem of setting up a Dominican company? 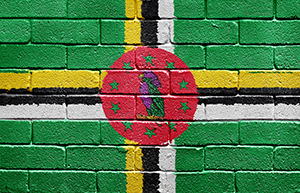 Setting up a company in Dominica may be perceived as a tax haven structure. Is a Dominica company required to submit an annual return and / or financial statements? A Dominica company has to submit annual tax returns. How much tax does a Dominica company pay? A properly structured Dominican company is tax exempt from international profits. Success tips when doing business in Dominica!